Water. The key to solar greenhouse heating. Water barrels hold the day’s heat and re-radiate it back into the greenhouse at night. store the day’s heat and then re-radiate that heat as the greenhouse cools. It creates a buffer that reduces the days high temperatures while raising the night-time low temperatures. Thermal mass is often simply drums filled with water. These drums are usually painted black and placed in the back of the greenhouse (usually the north side). Water helps store heat and has a built-in frost prevention system in the chemistry theory called “the latent heat of water”- where water actually gives off heat when ice is formed. Use it all to your advantage in a home greenhouse! The chart below illustrates why water is a preferred storage medium for retaining the heat in greenhouses. This is especially common in solar greenhouses. The higher the number, the better the material will store heat. 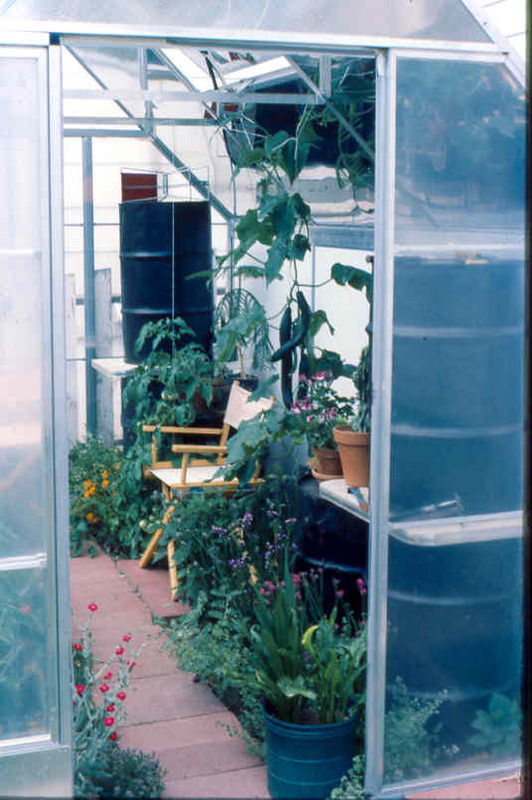 Heat storage is also a function of how much of the material you have in the greenhouse. Water or other thermal mass alone doesn’t make a greenhouse solar heated, there are other important considerations. Weather-stripped and/or caulked vents, doors and cracks. Double or triple south facing glazing. Insulated north wall and roof. 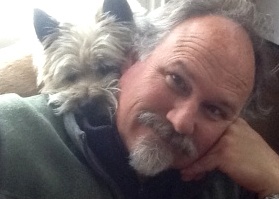 Possibly have an insulated west and east wall (depending upon your climate and wind patterns). Different types of water storage. 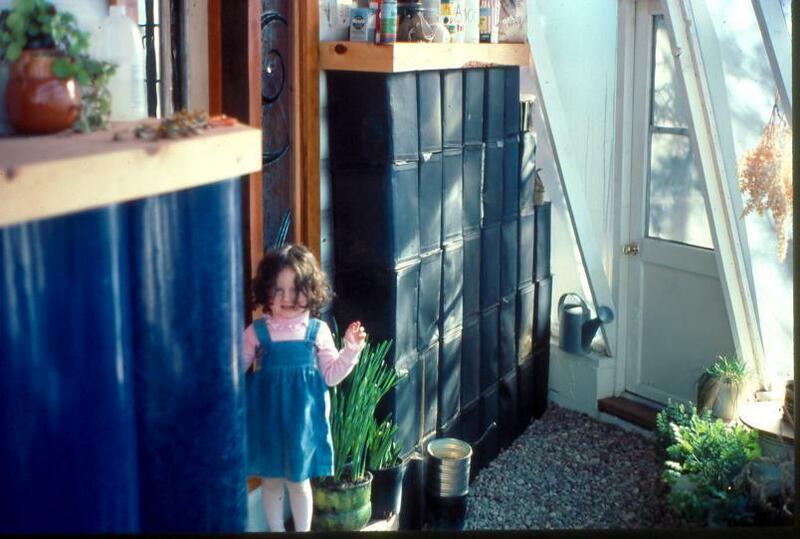 Left: Fiberglass tubes, Right: recycled oil tins. 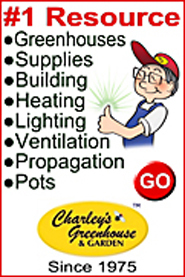 HERE ARE THE VALUES. . . .
See the book Greenhouse Gardener’s Companion, for further description of using water as a method of capturing solar energy and making your greenhouse more energy conserving. © copyright 2000, 2013 Reproduction or printing of material from this web site is prohibited. 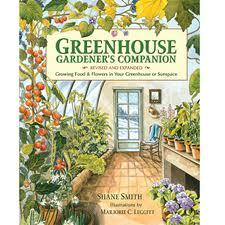 This material is adapted and/or excerpted from the book Greenhouse Gardener’s Companion by Shane Smith.